I hope to inspire our industry to do more to drive wide-spread, enhanced financial health to our country. Our country in many ways is financially sick — when you look at underfunded pensions, budget deficits, the state of many municipalities, the fact that over 70% of Americans can’t put their hands on $1,000 in emergency, etc. We need to rethink financial education in America and understand that financial wellness as a nation is important to all of us and can help ameliorate many of the issues that are being caused by the massive wealth inequality. 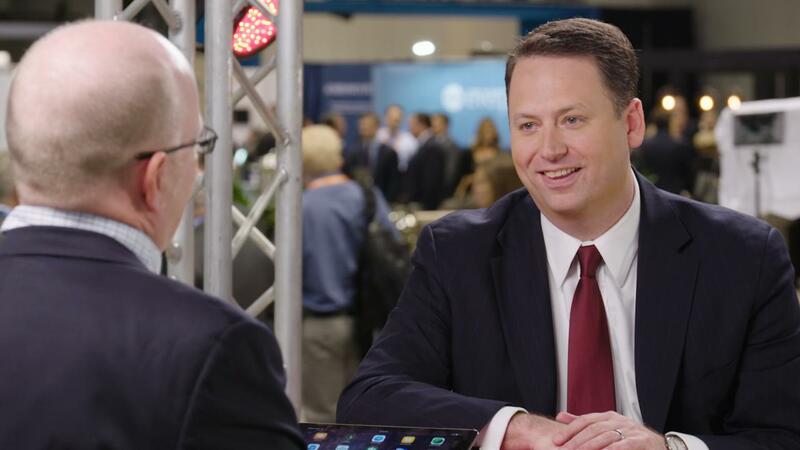 I had the pleasure of interviewing Shirl Penney, the Founder and CEO of Dynasty Financial Partners. 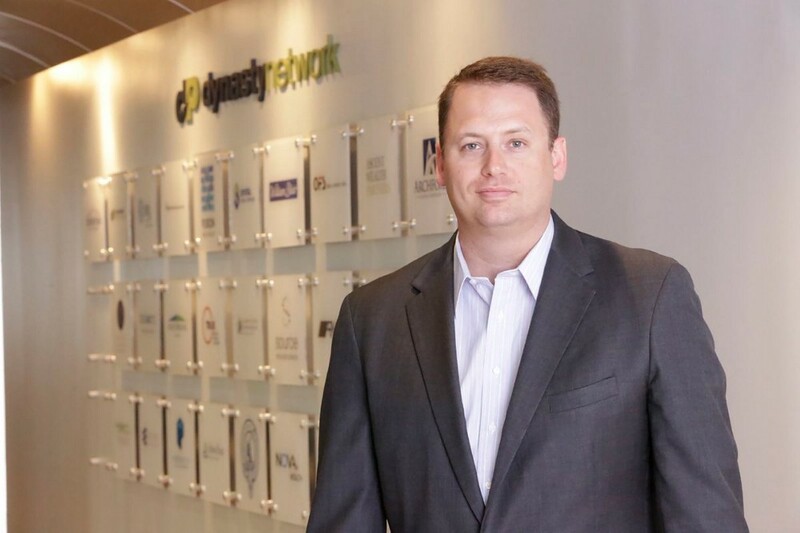 Dynasty is one of the leading platform service company for top Registered Investment Advisors, currently with over $32B of assets on the platform. Prior to founding Dynasty, Shirl held a number of senior positions in Citigroup / Smith Barney’s wealth management business. Shirl is a fellow in the inaugural class of the Finance Leaders Fellowship at the Aspen Institute. Thank YOU! Even having grown up in a small fishing village in Eastern Maine, I was always drawn to a career in finance in Manhattan. The markets, the fast pace, the underlying math, and most importantly, helping people live financially healthier lives have always been things that interested me. Not knowing anyone in the industry and having to find a path to NYC from Maine was not easy, but I was extremely determined. I ultimately landed a job at Smith Barney and worked my way up the corporate ladder quickly. What I learned from interacting with many of the firm’s top entrepreneur clients was that taking calculated bets on yourself can pay off in significant ways. When the culture of Smith Barney started to dramatically change as we headed towards the financial crisis of 2008, my wife and I decided it was time to stop letting good stand in the way of great and to go make a run at launching our own business. With Dynasty, we wanted to build the industry’s first integrated platform for high end independent advisors. It was a great vision, but since no one had done it before, it took time to raise money for the venture and to explain it to the marketplace. Today, clients understand the benefits of working with an independent advisor who gives advice rather than sell products as an employee of a manufacturer. Back then, the market was just becoming educated; the financial crisis did a lot to help consumers understand some of the conflicts and risks. My wife kept track of how long we went without a paycheck (2 years, 7 months, and 4 days). If you want to take the island, sometimes you need to burn the boats, and we were all in and full of GRIT to make our dream of launching Dynasty a reality. I was raised by my step-grandfather in Maine. He was not educated and was physically handicapped, but was a very hard-working, honest and high-integrity man, despite the hand that life dealt him. He taught me to never give up, to fight for what you want, to believe in yourself, and did so much to secure my future success that he inspired me to go out in the world and make him proud of all the sacrifices he made in raising me. My wife is also the embodiment of Grit and was the first person to stand beside me and say ‘let’s go build this business together’. Knowing that she would be a better CEO at home with our family than I would be at work allowed me the ability to be all-in with the business. Over-communicating at home is critical during challenging times in your career. I have never quit anything in my life. Just not in who I am. I don’t decide to do things lightly and if I commit to something, I go all-in. The adversity in my personal life as a child, the professional opportunities that I worked for at Smith Barney, the challenges of raising capital and building a new business model out of the financial crisis and trying to constantly reinvent the business once it was up and running and seeing success are all grounded in having true Grit. All successful entrepreneurs have it; it’s a common gene we share. If entrepreneurship were easy, more people would do it; without Grit more of the select few that try would quit. It’s hard. Every turn in the journey requires Grit — dealing with investors, prioritizing family, nurturing employees, pleasing clients, battling uncertainty, hearing doubters, negotiating with vendors, not having growth, having too much growth, building the right culture, and holding on to that hungry start up mentality to drive sustained excellence going forward. The best leaders are the ones that tap into their Grit to keep the relentless focus and faith over long periods of time on what is most critical to their firms in the face of all these challenges. Glad you asked! Things are going great. We have helped changed the wealth management industry for the better by helping to give clients a less conflicted advisory model and a better technology-enabled experience. We have over $32B in assets on our platform and more than 165 advisors all over the country being powered by Dynasty Financial Partners — with our capital, technology, people and resources. We are growing fast as more end-clients come to us to meet our advisors, other advisors come to us to join our Network of firms, and advisors leaving the big banks continue to seek us out as a partner to help them launch their new independent advisory firms. 1) Don’t be afraid to be bold, challenge yourself and know that it will bring naysayers. Many people told me I was crazy to try to build a new financial services model as a start-up coming out of the financial crisis. I would smile and say, ‘thank you for your guidance and support’, and just keep going! Winners surround themselves with other winners, so only keep the people around you that share your passion for the journey. 2) Find a buddy for the ride. This can be a spouse, best friend, business partner, etc. It needs to be someone that can tell you the truth and who you respect. When you are low they can be high. They keep you going. For me I had business partners who jumped in with me and worked for free to get us up and running and I had my wife. Without them, we would not be where we are today. 3) Be over prepared for as many meetings or activities as possible. Practice your pitch, know your numbers, be the most prepared person in every room. Eventually, this will pay off and give you an edge over time. When I first started doing media interviews, I would practice and lay out all my notes and taking points in front of me. Knowing I was over-prepared would give me the confidence to deliver at a high level. 4) Build yourself a committee of mentors. Find people from various industries and some that have made a similar journey to yours. Read about and study the leaders in your space. These people will reconfirm what you are going through is normal! I have many successful entrepreneurs from other industries I speak with often, who continue to encourage me along the way. Don’t be afraid to include your clients in this mix too, as they can be great advice-givers on what they see with you and your company. I have not only a Board of Directors, but also a circle of personal advisors and mentors and a dedicated client advisory board. 5) Set goals and be laser focused on them. Know what is important and limit the distractions. Quantify your goals by building an economic model to help inform decisions along the way and to help drive discipline in the business. As an entrepreneur, I am constantly faced with new opportunities and have to ask myself, ‘is this important in the lives of my clients and is this something that is staying true to our mandate?’ The best leaders focus on that mandate and drown out the noise. I have had too many people help me along the way to name them all. My grandfather, Clarence Townsend, is a central character in my life. My community in Maine who helped raise me — my teachers and coaches. My wife, my children, and my friends. My father-in-law built my first office in my garage, where I wrote the business plan. I am grateful for the investors who were brave enough to write the first checks when I was in that garage. To our employees that power Dynasty every day. To our resource partners that support us. And to our clients that trust us to support them, for whom we are extremely grateful — we get to live our American Dream by empowering others to live theirs. I am proud to be a member of the inaugural class of the Finance Leaders Fellowship at the Aspen Institute. One of the ventures I am working on as part of my work there is to help drive financial wellness across my home state of Maine by building interactive learning tools to inspire people of all ages to take more informed ownership of their financial lives. The hope is that we can build models of success that we can then export to other parts of the country. One of the benefits of Dynasty Financial Partners getting to scale and being a leader in our industry is that it allows us to add both intellectual and financial capital to support our clients, which in turn cascades down to the level of service they are able to provide to their clients. Our size also allows us to use our financial capital to invest in new technologies and to provide growth capital for inorganic M&A growth to our advisory firms, so that they themselves are more quickly able to get to scale and build a more efficient and higher quality service model for their clients. Encourage them to be bold. Let them fail. Analyze the failures and learn from them. Make sure that every voice is heard and be the leader who facilitates the forums to ensure it. Lastly, think about how you build an ownership culture, where everyone feels like she or he is an owner and acts accordingly. My favorite life lesson quote has to be ‘The Man in the Arena’ by Theodore Roosevelt. It’s a lengthy one, but it speaks well to the journey of the entrepreneur. It resonates with me on multiple levels. Firstly, I pull out of it that you can never know the trials and tribulations that any man or woman has gone through to get where they are today, so to judge them on a surface level, either on their stumbles or their success, is misguided. Secondly, as I’m sure it does for all entrepreneurs, it says to me that it is far greater to pursue one’s passions and to fail a hundred times than to never pursue them at all. I have experienced my fair share of both success and failure thus far in my career and I can confidently say I embrace all of it — the wins and the losses. Each instance has served to further fuel the fire. Your readers can follow me on my personal LinkedIn (www.linkedin.com/in/shirlpenney) or on Dynasty’s Twitter @DynastyFP. They can also read more about Dynasty at www.dynastyfp.com.